Retain your food's hot or cold temperature with this stylish Vollrath 46587 24 oz. 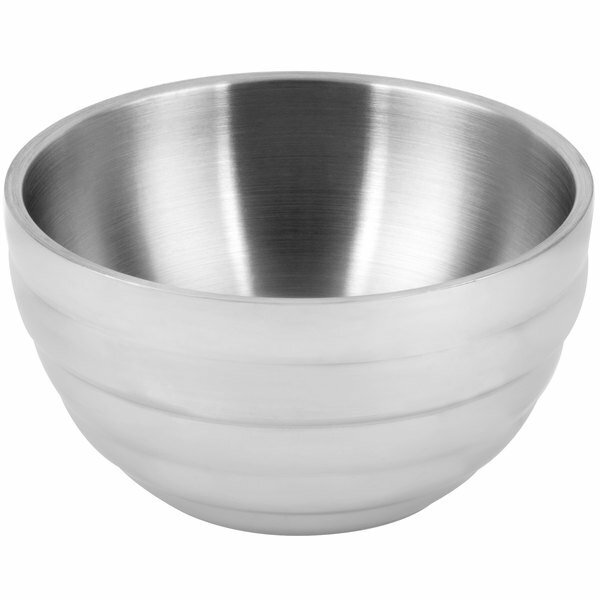 stainless steel round beehive double wall insulated serving bowl. Thanks to its double wall, heavy-gauge 18/8 stainless steel construction, this bowl does not require preheating or chilling to serve food at its intended temperature. Plus, it won't sweat from piping hot, freshly prepared sides or icy cold desserts at a hot summer event! 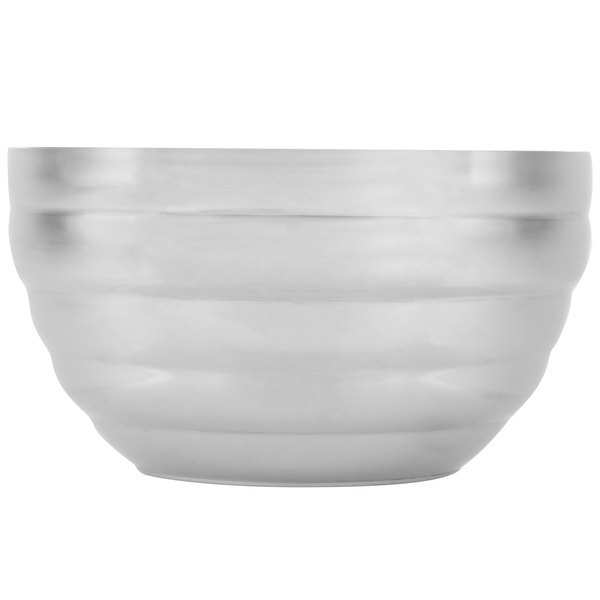 Showcasing a satin-finished interior, this bowl hides any scratches from serving utensils or other daily wear-and-tear. 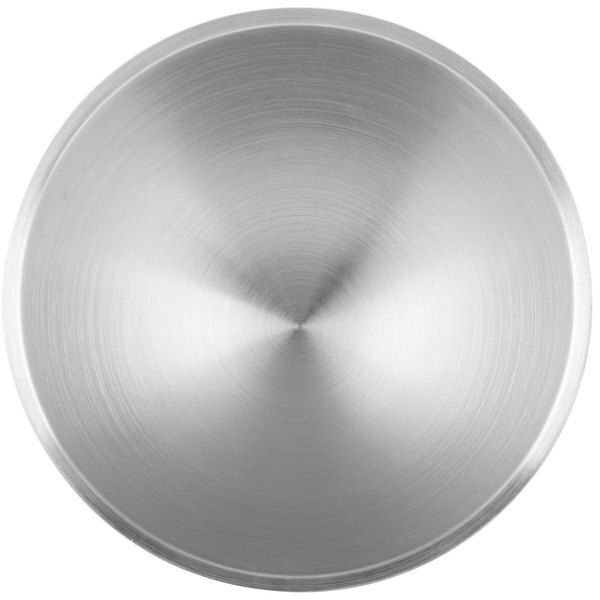 Sporting an attractive mirror-polished exterior finish, this bowl creates an eye-catching display at your restaurant's salad bar or catering business's buffet line. Its beehive layered exterior creates multiple tiers further reflecting the light and delivering a one-of-a-kind presentation. Add this unique bowl to your business to accent a colorful collage of assorted fruits, fresh salads, pastas, side dishes, and desserts! We use these in our self serve bar area. They are great because they keep our product at a good temp (under 40°F) when surrounded by ice.